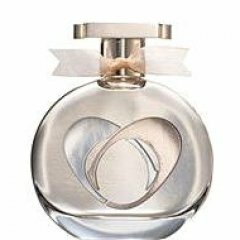 Coach Love is a perfume by Coach for women and was released in 2012. The scent is woody-sweet. It was last marketed by Estēe Lauder Companies. I highly doubt that anyone will absolutely abhor this fragrance, it's fun and fancy-free. But there is no olfactory lesson in this bottle, it imparts no deeper message or knowledge. I find it very similar to "Nine West Love Fury". Likewise, I consider this a casual Summer fling- not Love, actually. Coach Love is youthful, carefree, almost calming in its lack of originality, as a daily fragrance is not bad at all. It has some fruity notes, I detect mandarins and blackberries-ripe and ready to be eaten. There are also notes of violet, magnolia, freesia, jasmine and a synthetic gardenia complex. A dash of sandalwood and vanilla notes. There's a bit of soft musk finished with Caramel (a la Jessica Simpson's outrageously and mysteriously successful "Fancy") and the other Caramel greats of the last few years. It manages to not be cloyingly sweet, nor is it a sharp fruity floral- it's quite wearable. It has a certain commonality with Gucci II (2) in its composition, almost like the innocent prepubescent sister of Gucci II, that makes this office appropriate. This is sheer but has decent sillage of about 1 meter (3.28 ft.) and it last for a good 6 hours on my skin before disappearing (off to a Coldplay Concert, with her friends- no doubt). Coach Love was a bona fide fragrance, but ultimately, I used the rest of the sample to freshen my kitty litter box. Write the first Review for Coach Love!